December 30, 2017 Robert W.
Fast convention signs are needed in Las Vegas for the many trade shows and conventions. Often, vendors find themselves without their display graphics and they need to be replaced in a hurry. Businesses plan for months there company debut at the conventions and sometimes things just go wrong at the end and they need to be fixed quickly. Las Vegas sign companies like www.Posterhead.com can assist you in getting your sign or banner made quickly and at a reasonable price. The sign shops have locations near these venues and have the proper equipment to make your signage. ( As a word of caution- there are many sign brokers pretending to be sign companies that have no equipment to print your graphics. Instead, they rely upon professional sign shops to do the printing and manufacturing of the signs for them……. You should avoid these people to make sure you have hired a reliable company ) One way to check the reputation of a sign company is to Google ( www.Google.com ) the company or use Yelp ( www.Yelp.com ) to see the reputation of the company and there location. Fast convention signs can be made the same day in many cases. Large format printers are the tool of choice for sign makers. These printers can print very quickly and at fantastic quality. The newer versions have the 8 color printer system that mixes and matches inks to perfection to make your graphic come alive ! Fast convention signs are available at your finer sign companies in the Las Vegas area. Contact them today if you need a fast sign or fast graphic. December 29, 2017 Robert W.
Convention Banner stand printing is very popular during the long convention season in Las Vegas. I say long because it seems there is one convention or another always going on in Las Vegas. While everybody thinks of the convention season in Vegas as being December through April, in actuality, it is year round. It is just more popular in the winter season because everybody likes to get away from the cold and into a nice moderate climate like Las Vegas. After all, why be in near zero back home ( as many parts of the US is during the winter) when you can be in 60 degree weather in Las Vegas ? Convention banner stand printing is very popular during conventions because it is much easier to order signs and banners in Las Vegas and pick them up for your show than to order signs and banners back home and have to transport them to Las Vegas or ship them to Las Vegas without having them get lost or damaged. All too often people who will be displaying at the shows will find themselves with damaged signage when they set up their vendor booths and need to have the signage replaced at the last minute ( many times paying rush order fees to the sign company ). By just ordering and picking the signage up in Las Vegas, there is just one less thing to worry about for your show. Also, Las Vegas sign companies have very competitive pricing on signs and banners because of all the trade shows and conventions that are held in Las Vegas and the competition for that business. Convention banner stand printing can be done the same day and many sign companies in Las Vegas want your business ! Contact a sign shop today to see how they can help you get your banner stand worry free ! December 28, 2017 Robert W.
Las Vegas trade show banner stand sign printing can get you that upright banner stand printed inexpensively and quickly. Trade shows and conventions are a blessing to the sign industry in Las Vegas because these events bring millions of people and require thousands of signs to be made. While many vendors bring signs and banner with them, many times the signs and banners get damaged or lost while being shipped here. In cases like these, Las Vegas sign companies like www.Posterhead.com or www.lasVegasLargeBanners.com pick up the slack and get the signs and banners made quickly. Trade show banner stand sign printing is not expensive and can be done cheaply and quickly. These banner stands come in a multitude of sizes to accommodate the vendors needs and can be printed in many colors with pictures and logos. These retractable banner stands are self standing and are very easy to set up. The average set up time for a banner stand is less than 2 minutes. The stands can be used over and over and they all come with a carrying case for easy transportation. 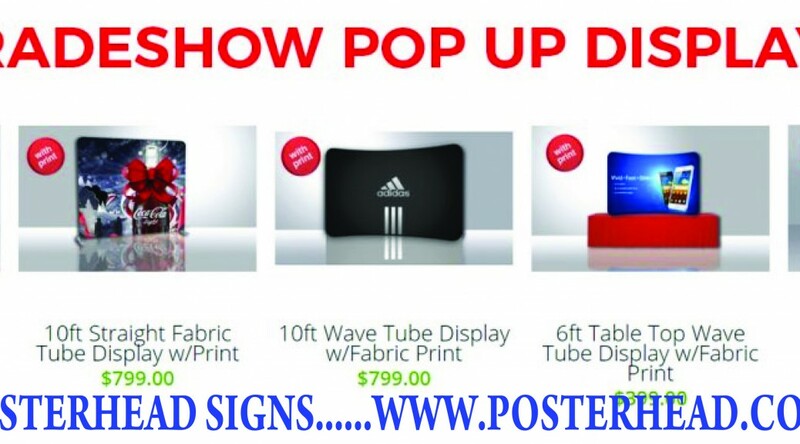 The cost of the trade show banner stands is minimal, with several models starting off at less than $100 and even the more expensive premium models in large sizes do not go over $200.00. Trade show banner stand printing can be completed in 1 day in many cases. Sign companies know that you spent a lot of time, money and effort to come to Las Vegas for a trade show and want you to have the best show possible and are willing to work hard to get you your graphics needed to make your show a success. If you find yourself in need of last minute graphics, contact a Las Vegas sign company immediately to make your signage and make your event a winner ! Fabric Banners Las Vegas can help you get that fabric-wrinkle free banner for your backdrop or signage. Many people prefer the fabric banner over the vinyl banner for their displays. The fabric banner ( while more expensive) does not wrinkle and comes on a 9oz polyester material whereby a vinyl banner comes printed on a 13 ounce vinyl banner material. Also, it should be noted that the polyester material can snare or rip much easier than a traditional banner. The life expectancy of the fabric banner is much lower than that of a vinyl banner because any little snare could possibly ruin it when it is hung stretched. Many of the corporations that come into Las Vegas for the big trade shows and conventions are only going to use the backdrop banner once and prefer the cleaner look of the fabric banners. They will either get the fabric banner with pockets or sometimes have it grommeted in rare cases. By having pockets, I mean letting the banner have a pocket at the top and bottom so that a 2″ or so pipe can fit through the banner to support it and then again on the bottom so that the fabric banner has a weight on it to keep it taught so it has no wrinkles. While vinyl banners printed on a 13 ounce vinyl banner material go for around $2.00 a square foot, the fabric 9oz banner sell for around $4.00 a square foot. In all honesty, they do look nicer but keep to a higher price. Please remember that special stands or the ability to hang the banner must be taken into consideration when buying a fabric banner because they cannot simply be attached like a vinyl banner. Fabric banners Las Vegas are available at many of the finer sign companies in Las Vegas for around $4.00 a square foot. December 27, 2017 Robert W.
CES 2018 signs and banners will be everywhere when the CES show hits the Las Vegas Convention Center in a few weeks. This year, the show is January 7th to January 12th and attendance is estimated at approx. 170,000 people from all over the world. The biggest and best in the electronic industry will be showing off their goods and services at this event. This is the Grand Daddy of events in the electronic world. CES 2018 signs and banners include a great variety of signage. The most common signs at the CES will be banner stands and banners. Banners make for great wall hangers and backdrops to help markets products. These large banners can contain a lot of information , be full color and be very large so as so impress your customers. Banner stands are independent type signage that stand alone and pull up out of a stand and are usually a few feet wide and about 6ft tall. The pull up stands are very compact and easy to set up and contain a lot of information. Vendors like these banner stands because they are independent, inexpensive and can be custom made for one particular event or show and then discarded. They can also be reused several times if they contain generic information. Banner stands come in many sizes from approx. 2ft wide to about 5 feet wide and when put together side by side, can make a banner wall that is portable and easy to set up, but yet looks like a single display. The CES event this year will be bigger and better than ever before. Contact a local Las Vegas sign company if you should need signs and banners as they can make the signs cheap and very quickly. Sine they are located near the event center, getting them fast is no problem. Quick banner stands within 24 hours Las Vegas is very doable. Often, a retractable banner stand or upright banner stand is needed for an event or show in a short time and Las Vegas signs shops are capable of making that banner stand within 24 hours. Las Vegas area sign companies like www.Posterhead.com have experience making quick banner stands because of the nature of all the shows and events that are held in Las Vegas. In fact, Las Vegas is a wonderful place to hold and event or show and for that very reason, Las Vegas is the number one destination for shows and events in the United States. More shows and events are held in Las Vegas than any other place. there are millions of square feet of display space available. Add in the fact that all the casinos on the famous Las Vegas Strip have some sort of meeting pace set aside in their respective hotels, it adds up to a lot of event space available. In fact, Las Vegas hosts most of the major conventions in the world. This makes the area prime for companies that makes signs, banner and trade show displays to fulfill all the needs of the thousands of vendors who descend upon Vegas to show off their goods and services. Quick banners stands within 24 hours Las Vegas are available at many of the sign companies that are located near the event venues at very reasonable prices and can be made quickly. 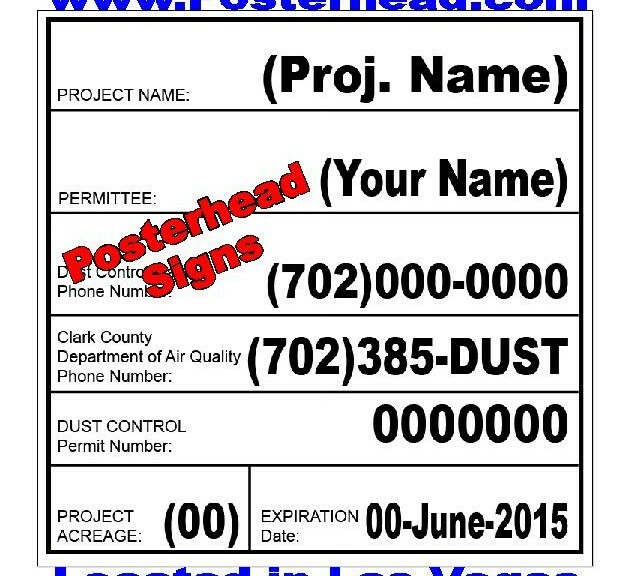 December 26, 2017 Robert W.
Outdoor dust control signs for Las Vegas Clark County are required when you are building or moving dirt around at a construction site. The Clark County Air Quality Management Board has strict guidelines on moving dirt and further information can be gleaned at http://www.clarkcountynv.gov/airquality/Pages/ContactUs.aspx. The Clark County Air Board is located at 4701. W. Russell Rd, 89118. Custom outdoor dust signs can be purchased at sign companies like www.Posterhead.com or other construction friendly sign companies. Outdoor dust control signs for Las Vegas Clark County are generally 2 sizes, 4ft x 4ft. and 4ft x 8ft. The 4ft. x 4ft. dust control signs is for display at construction sites 10 acres or less and the 4ft. x 8.ft is required for construction sites larger than 10 acres. The signs are usually made out of premium aluminum e-panel or dibond panel ( outer coat of aluminum with a fill substrate to give it strength ) or wood ( the old wood signs are generally being replaced with the weatherproof aluminum panels that are lighter and less prone to damage). The Air Quality Board requires certain language and certain sized text on the dust signs along with many other restrictions. Failure to comply with having a qualified dust sign can get you fined and your construction project halted, resulting in a construction crew being idle and costing you a large sum of money. Outdoor dust control signs for Las Vegas Clark County are reasonable priced at $99 for a 4 foot by 4 foot dust sign and $175.00 for a 4 foot by 8 foot dust control sign. In addition, many sign companies offer a free update if your dust sign goes past the dust control permit date and will give you for free the right sized update in terms of date and acreage. Contact a local sign company today to get your needed dust control sign. Interesting Fact about welcome to Las Vegas Sign. 1. The sign that is on Las Vegas Blvd that welcomes you to Las Vegas is not EVEN in Las Vegas !! That fact is a little known tidbit that the locals of Las Vegas do not tell you. Las Vegas is a very interesting place to live and it is a lot of fun to live in this town. The town itself has much history due to the stories of the mob running the town and all the corruption. ( Please visit the Mob Museum is Downtown Las Vegas for a great trip down memory lane about all the violence. Formerly, Oscar Goldman, an attorney that represented many mob type clients, was the mayor for years of Las Vegas and is endeared by the local population. His wife, Caroline, is currently the mayor of Las Vegas. Las Vegas is also the number one destination in the world for trade shows and conventions. Millions of people come to Las Vegas annually to see the latest in technology and find out what is happening in their trades. The latest products and services are on display. Besides that, many people believe that Las Vegas is the number #1 destination because of all the fun that can be had while not at the conventions. There is gambling, drinking, dancing, top restaurants, and a 24 hour party atmosphere that makes people love to have fun. If you are a history buff, this is a wonderful place to learn about the evolution of criminal activity to corporate activity. Come to Las Vegas and enjoy yourself and be safe ! 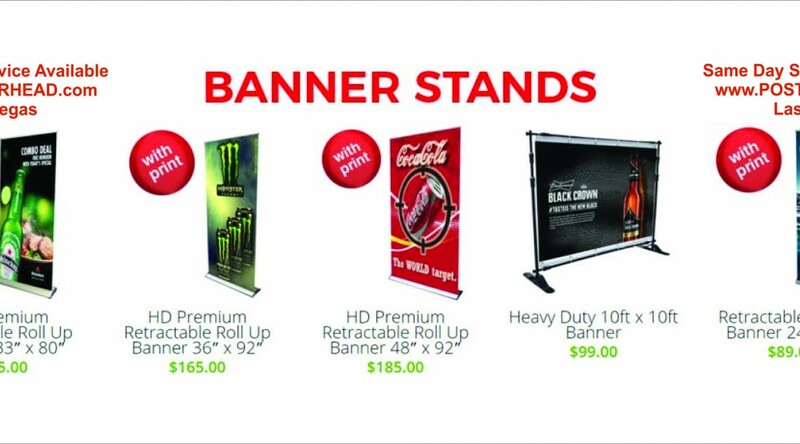 December 24, 2017 Robert W.
Banner stands ( also known as retractable banners, upright banner stands, etc. ) are one of the most popular graphics at these shows because they take up so little room, can stand alone and also have the capacity to have a lot of information on them because of there size. The 33″ wide model by 78″ tall banner stand seems to be the most popular size at the shows. however, there are many additional sizes that can be made for your event. In order to make a much larger impression using banner stands, people will take a very large graphic, cut it up into 33″ x 78″ stands and then place the stands next to each other in order to simulate 1 large design graphic. Las Vegas banner stands cheap is just that. Banner stands start off at less than $100 ( which includes the printing and stand ) which makes it a very affordable graphic to have at a booth at a convention. Banner stands also come in premium models which is just usually the same graphic placed in a nicer stand that has chrome on it so that it looks more expensive. Even the expensive base banner stand models are less than $200 and come in very large widths. Las Vegas banner stands cheap are available at many sign companies located adjacent or near the Las Vegas convention venues. Sign companies choose to be located near the venues so that they can make the signs and banners quickly and then get them delivered to the venues quickly. Contact a sign company in Las Vegas today to see how these banner stands can help your business. December 21, 2017 Robert W.
Las Vegas banner stands fast can get you that needed banner stand quickly. Many people and businesses come to Las Vegas to show off their products and services at one of the many convention centers. Unfortunately, people find themselves without their graphics and signage at the convention centers because they were lost in transport or simply damaged. In cases like these, the banner stands and signage need to be replaced quickly. Since they have already been printed and designed, all that remains is to just reprint off the existing banner stand design which can be done quickly. Las Vegas banner stands fast is a great search term to find that sign maker who can get you that banner stand today. Sign companies like www.Posterhead.com can make that retractable banner stand the same day. Many sign companies understand that you planned for months for your trade show or event and that it is important to have the right graphics for your event. The sign companies in Las Vegas are aware of this and stock many different stands. These banner stands that are retractable come in many different sizes ranging from 24″ all the way to 57″ wide. The heights of these banner stands can be adjusted to approx. 80″ tall due to the adjustable pole that holds the banner upright. These banner stands hold a full color print ( which can include pictures and logos) and are printed with state of the art large format printers. The usual choice of material for banner stands is the 13 ounce vinyl banner. If you find yourself in need of a quick printed banner stand, Las Vegas is the place to be. 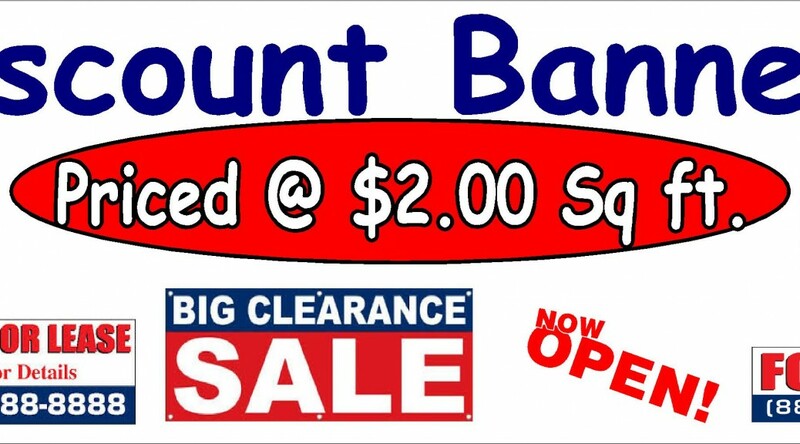 There are many sign companies that can print your banner stand graphic quickly using the most modern 8 color printers available at very reasonable prices. Usually, these sign companies are located near the convention venues so expedite getting you your graphic.